Pirates, fairies and knights, oh my! His majesty the king has summoned the very best fire breathers, jugglers, musicians, dancers, pipers from all across the realm to please the patrons of the Great Plains Renaissance Festival. Sword will ring upon shield as knights do battle for the honor of their lady fair, the royal falconer shall fly birds of prey, see sleight of hand and feats of daring. Come one, come all! Check back often as the scribe shall be adding new names to the list of enchanting entertainers as they respond to the royal decree! Lances will shatter and sword will ring upon shield as the brave knights of Joust Evolution do battle at the Great Plains Renaissance Festival being held in Sedgwick County Park. Experience the thrill of medieval combat as knight and steed work to win the day. May the most gallant knight win! The Great Plains Renaissance Festival is proud to bring you the Master Falconers of Raptors Keep! Falconry was a popular sport and status symbol among the nobles of medieval Europe and the Middle East. Eggs and chicks of birds of prey were quite rare and expensive, and because the process of raising and training a hawk or falcon requires a great deal of time, money, and space, it was largely restricted to the noble classes. Be sure to catch one of Raptors Keep informative and entertaining shows, you’ll simply be amazed! Huzzah! Become a knight in shining armor! Herr (Sir) Karl is a 15th Century German Knight, sworn to truth, honor and the code of chivalry. Join Herr Karl and his company of knights…literally! 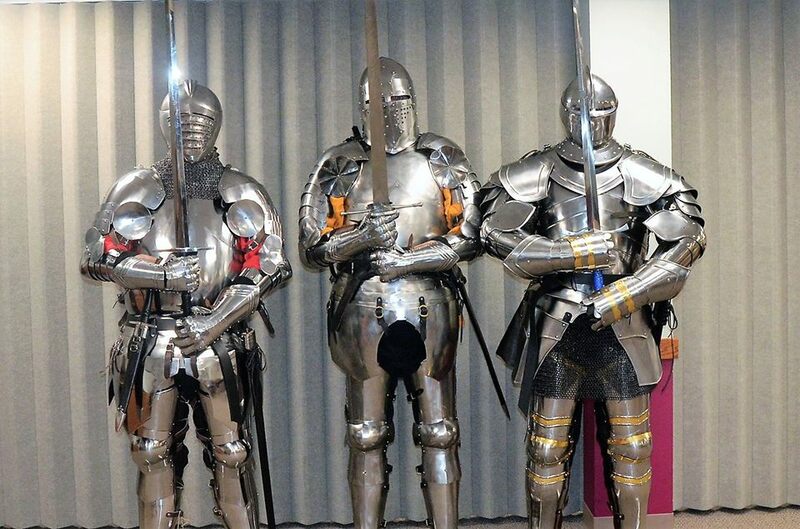 Kids of all ages can live out their fantasy of being a 13th century knight by dressing in chainmail, gorget, gauntlets and knightly helmets – great for photo ops! Then watch our “Arming the Knight” show where you can actually learn the steps to knighthood, the parts of a knights armor and help…Herr Karl be suited in his 15th Century full 16-gauge plate harness. Sir Gregory and Don (Sir) Vilhelm will also be wearing their armor at various times each weekend to provide photo ops. Educational and entertaining- huzzah! This picture says a thousand words…you know these scoundrels can’t be up to any good! Our favorite singing pirates are back and better than ever! Aye maties, head on over to hear the dread songs of the sea! AARRRRGGGGG!!!! Ongoing interactive educational displays of Musketeers arms and armor, duties and responsibilities. Give a big Great Plains Renaissance Festival welcome to Black Oak Shillelagh! Exciting, energetic and fun! These talented troubadours will have you dancing to their jigs and reels and Celtic tunes. Their repertoire includes traditional Irish and Scottish ballads and songs and covers of the music of modern Irish artists such as Christy Moore. They’ve also been known to throw in a few songs from the sea and from places where the Irish immigrated. We also happen to think that Black Oak Shillelagh is the coolest name for a Celtic band – EVER! Huzzah! Crafters and re-enenactors do live demonstrations of their craft. Mad Tom Bedlam and brother dear wander the festival grounds in search of good cheer. Interactive and entertaining and not to be missed (how can you?)! Here’s a helpful hint: Keep your eyes on your turkey legs! Blazing across the Midwest, Carpe Incendia, is quickly becoming a fan favorite with their fire and acrobatic wizardry. Troupe leader Tempest Storm and her Flamgra dancers dazzle young and old alike with their mesmerizing feats of daring, skill and flame! During their formative years, children are fascinated by the stories of heroes. In these legends and fairy tales, they find not only role models, but also an opportunity to explore for themselves the endless possibilities inherent in their imagination and creativity. Even today, with the Internet and other incredible forms of mass communication and entertainment, the world of knights, with their tales of courtesy and chivalry still exert a powerful influence on the minds and imaginations of children of all ages. Chivalry for Children seeks to tap into that fascination, and with stories and activities, to use it as a vehicle to inspire, encourage, and guide children and young adults to seek within themselves the qualities of “chivalry” which they possess but which may lie dormant within them, and to exhibit those virtues in their interactions with others. The master of magic, sleight of hand, and wondrous wizardry! This is one medieval magician extraordinaire! See all the jokes and acts that can’t be seen on the rest of the stages at the Great Plains Renaissance Festival! Trust me – this show isn’t for the feint of heart, nor is it for children. And, it’s the only show were you can drink a beer! In fact, no one under 18 years of age is allowed in the show, and 21 or older to drink. There’s a $5 cover charge for the Pirate Smoker show – but, it’s well worth it! The Blackheart Renaissance Fencing Club holds practices every Tuesday in Derby, Kansas. 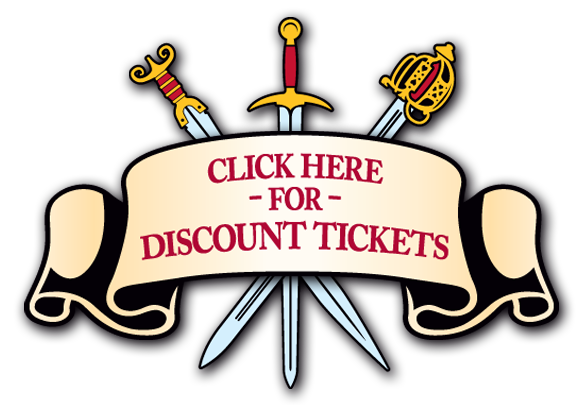 We are a non-profit group that studies and practices swordsmanship from the renaissance and post renaissance eras dating from approximately 1100CE to 1800CE. Chief Herald, Knight of the Realm and the self proclaimed King of Hospitality – it just wouldn’t be the Great Plains Renaissance Festival without our favorite ambassador of good will and cheer greeting our patrons as they enter the festival grounds. Here’s a tip – if your visiting us for the very first time be sure to say hello to Sir William – you are sure to get the royal treatment! Hip, hip Huzzah!